In a bust on Friday, Thai police arrested four executives on charges of operating a pyramid scheme selling a cryptocurrency called “Utoken”, and stealing over 10 billion baht (roughly US$310 million). Websites promoting Utoken claim that it “will outperform Bitcoin and eventually overtake Bitcoin as the Ultimate Digital Currency”. According to Thailand authorities, the Sunday raid was a result of several complaints made by victims of the alleged UFun pyramid scheme. The scheme was international in scope, involving over 14,000 victims from Thailand, Malaysia and Indonesia. Only 250 million baht (roughly $7.6 million) have been seized by the Anti-Money Laundering Office so far. UFun sold various cosmetics and supplements. The company focused on referring new customers, rather than selling the products. Customers were encouraged to invest up to $50,000 in order to receive discounts on the products. Rittidej Warong, a resident of Bangkok and owner of a major share of the business, was arrested during the early morning raids yesterday. 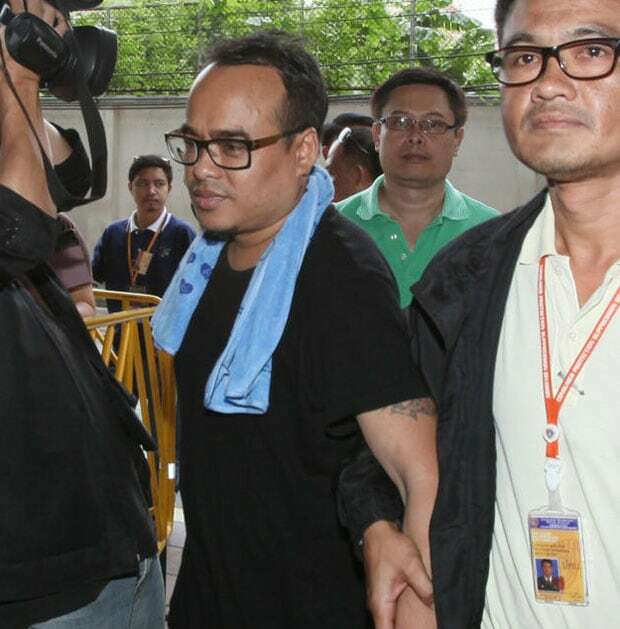 Rattavich Thiti-arunwat, one of the top recruiters at UFun, was arrested at his residence in China Mai. Authorities seized several luxury items from his property. Shareholder Chaithorn Thonglorlert was apprehended in Bang Na. Police seized several hundred thousand baht from Thonglorlert’s residence. Following the arrests, Chief of Police Somyot Poompanmoung held a press conference and revealed some details about the ongoing investigation of UFun. He said authorities took an interest in UFun as a result of disgruntled consumers who were filing official complaints at government offices across Thailand in 2014. UFun used its own cryptocurrency called UToken to let customers purchase its products. Members were strongly encouraged to bring in new clients with a very hefty bonus scheme. The authorities examined the promotional material and the amount of funds that were derived from new entrants into the scheme, and concluded that UFun’s profit from recruitment of new members greatly overshadowed proceeds originating from product sales. Thai authorities are still on the hunt for three other Malaysian citizens believed to be connected to the UFun scheme. In March of this year, Trendon Shavers, who went by the nickname [email protected], plead not guilty to operating a bitcoin ponzi scheme worth 764,000 BTC ($188M at press time). What do you think about this recent ponzi scheme bust? Share your opinion below.